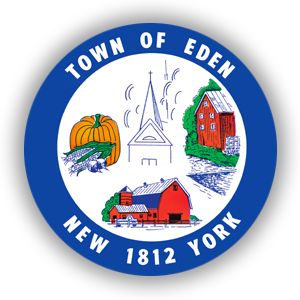 The Town of Eden has its roots in the westward movement that took place in the decades following the Revolutionary War. Our young country was rapidly expanding in 1796 when a group of Dutch bankers purchased a vast tract of land encompassing 3.3 million acres in the most western part of New York State. The Holland Land Company employed Joseph Ellicott to survey their holdings, a job which he and a crew of 130 men accomplished over a period of three years. 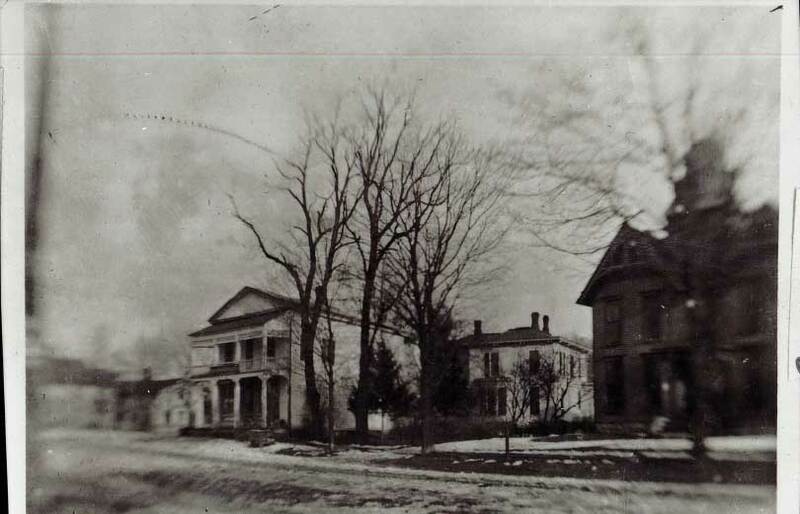 By 1801, the land had been surveyed into townships and ranges, and the Holland Land Company had established their main land office in Batavia. For the next thirty years, the company developed their holdings mostly through the direct sale of land to pioneers making their way west from New England and eastern New York. 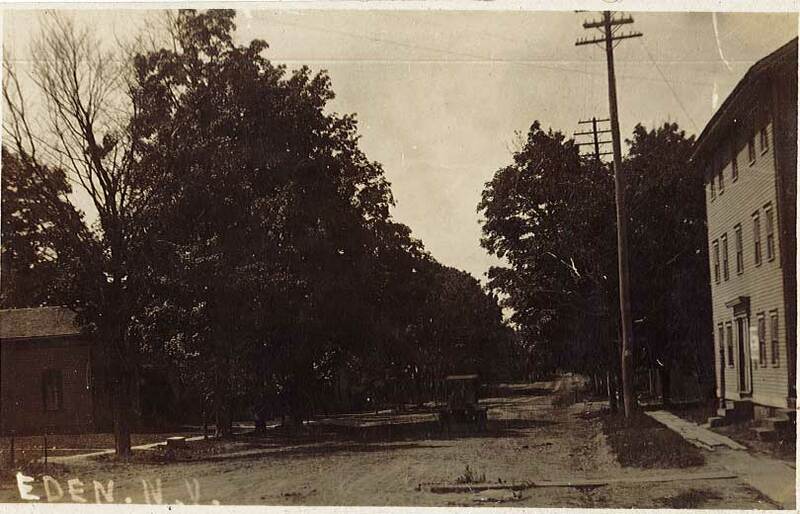 The area that was to become Eden was a densely forested wilderness in a huge township called Willink. It was into this wilderness that Eden’s first settler, Deacon Samuel Tubbs, ventured in 1808. Tubbs, his wife, two sons and a nephew, James Welch, came up the Eighteen Mile Creek from Lake Erie and settled in what is now Eden Valley. Upon his encouragement, Welch’s two brothers, John and Elish,a, made their way west in 1809 to join the new settlement in “Tubbs Hollow.” Many others were not far behind. The 1810 census, reported about 4000 people living in Willink. Since the town covered such a great area, it was decided to subdivide it into four towns, Eden, Hamburg, Concord and Willink. The towns of Boston and Evans were spun off from Eden several years later. John Morgan Welch, Elisha Welch and their brother-in-law, John Hill, deserve much of the credit for getting the town going. Between 1810 and 1818, John Morgan Welch bought up several hundred acres of land from the Holland Land Company. In the process of the backbreaking work to clear the land, he found himself with so much excess wood that he simply burned what he did not need. 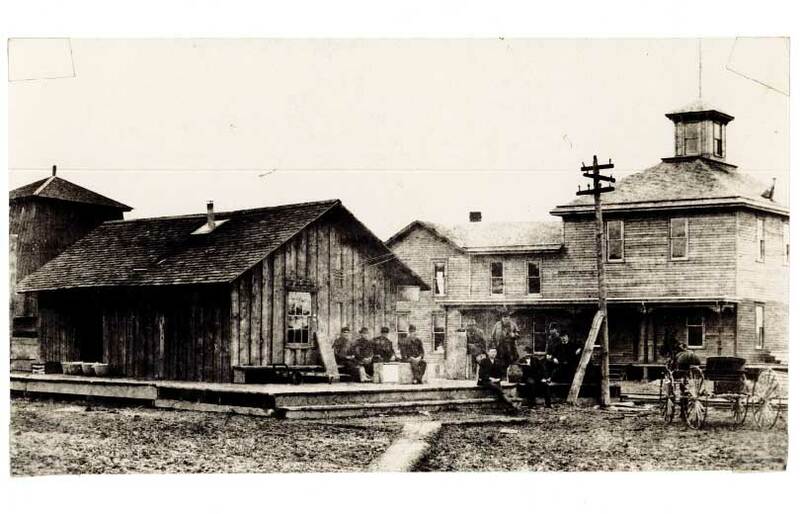 His original home, a log cabin, was located somewhere on the land bordered by Main and George Streets. 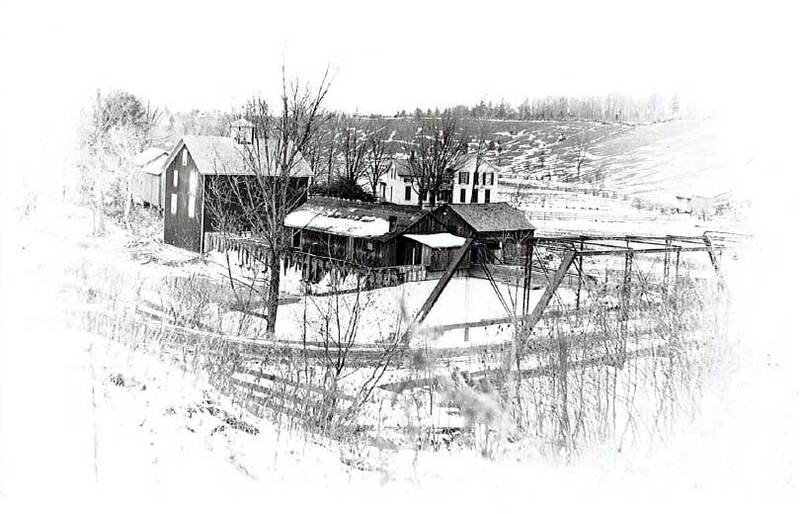 Down in the valley at Tubb’s Hollow, Elisha Welch built the first sawmill in 1811 and the first gristmill in 1812, thus establishing what developed into Eden’s first thriving mill community. Also in 1811, John Hill settled with his family in what is now the hamlet of Eden. 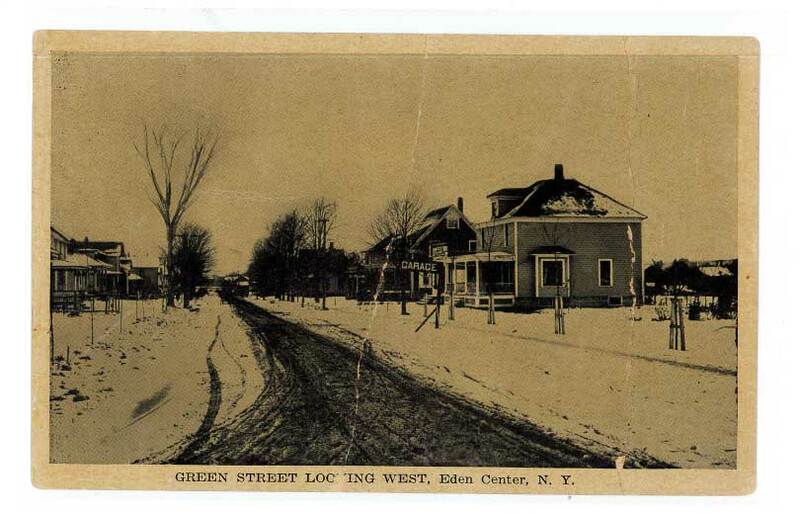 It was known then as Hill’s Comers and later, Eden Center. 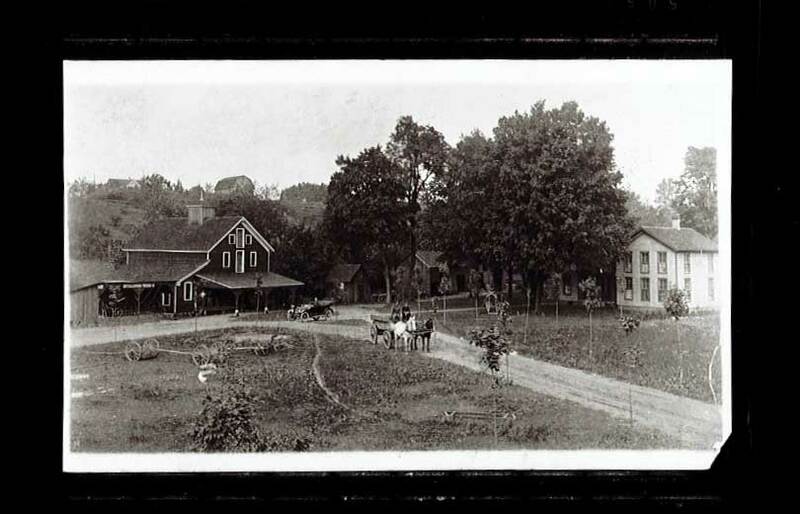 Hill is credited with naming the township Eden when the various settlement areas were incorporated on March 20,1812. 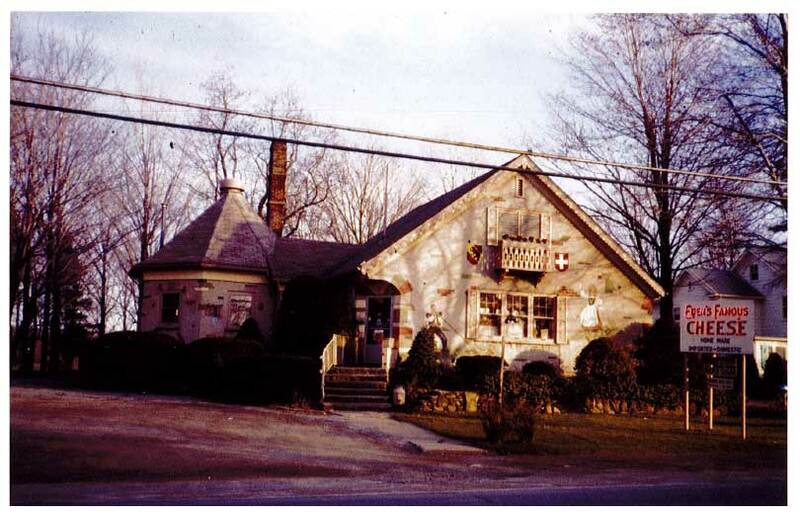 At the first town meeting, held in 1813, John Twining was elected supervisor and John March the town clerk. It was voted to raise $200 for the building of roads and bridges, a good idea, as most of the land was still unbroken forest. Once the War of 1812 ended, the town began to grow quickly. Those choosing to settle in Eden were faced with a variety of obstacles, which needed to be overcome in order to survive. Virgin forests needed to be cleared, shelters for humans and livestock built, and crops planted. The danger of wolves, bears and panthers was ever present. Fortunately, relationships were generally good between the new settlers and the native people who frequently passed through town. Money was scarce and the barter system of exchanging goods was widely practiced, even for the payment of land. Twenty-first century folk can hardly imagine how primitive life was and what a struggle each day was. Forging a new life in the wilderness was not for the faint of heart! Two natural resources, the land and the Eighteen Mile Creek, made the area attractive for settlement. 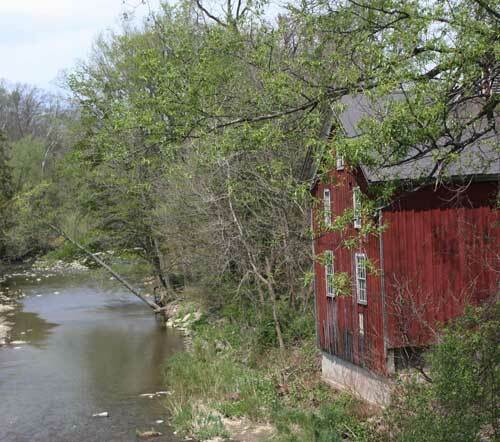 Eden’s three milling communities at Eden Valley, Toad Hollow and Clarksburg took full advantage of the creek’s water power to run saw mills and grind grain. Word of the fertile soil in Eden had reached many who eventually made their way to the area. They were not disappointed. Initially everyone in town was in some way working in agriculture, forming the basis for the legacy that continues today. As the forests gave way to agricultural fields and goods began to be more available, life was still hard but not so much of a struggle. During the 1830s, frame houses began to replace the log cabins that sheltered the early town folk. 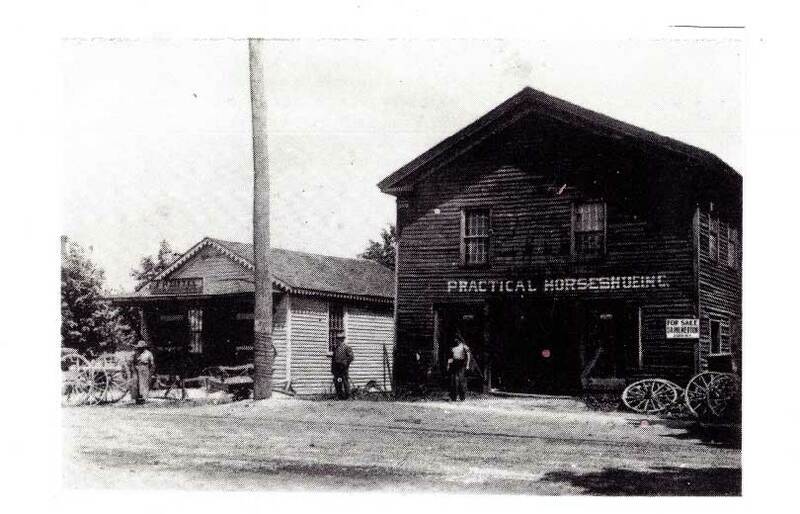 Jobs became more diversified, and the original settlement areas thrived with stores, post offices, mills, cheese factories and other businesses. Opportunities for education and the practice of religion were priorities from the first days of the town. Eden’s first teacher, Rowena Flack, conducted classes at home as early as 1812, and the first school was organized in 1814. 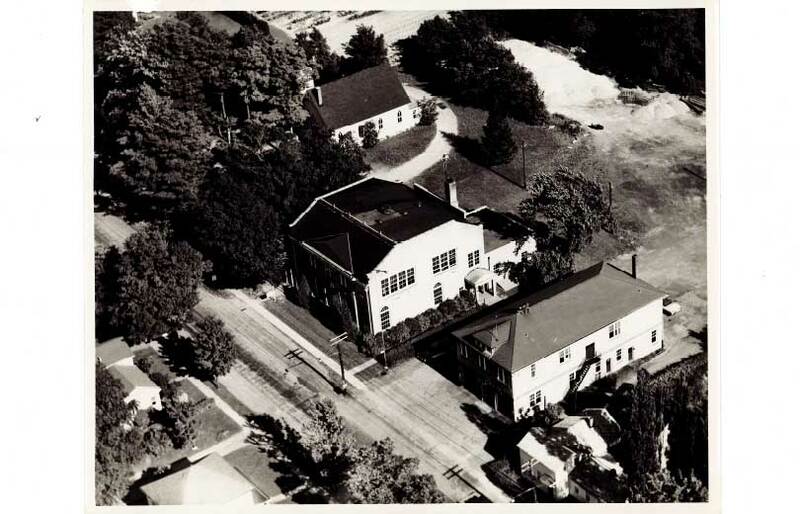 Over the next several decades, one­ room district schools began popping up throughout the town. Providing a good education for the Eden’s children began early and continues today. Pioneers also brought with them a desire to practice their religious faith. It wasn’t easy, and the devout often traveled significant distances for worship. Congregations gathered as early as 1813, with the Baptists being the first denomination to formally organize in 1816. 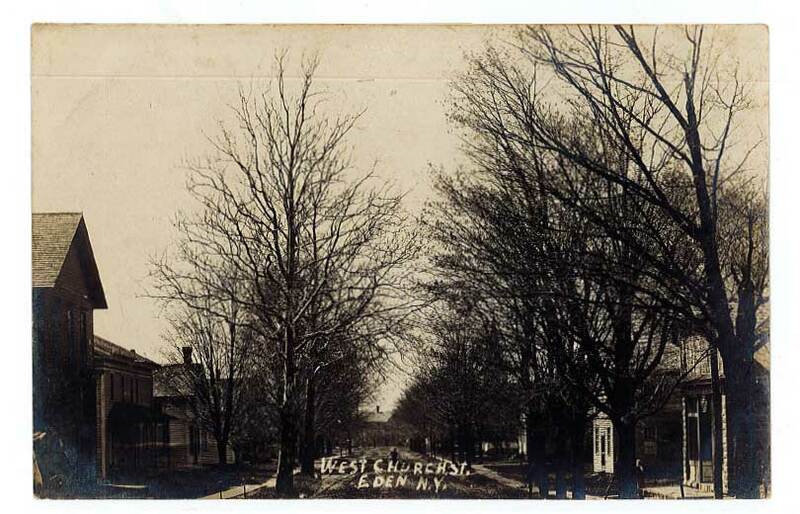 At least seven different churches had been established by the 1850s, including a large community of Quakers. 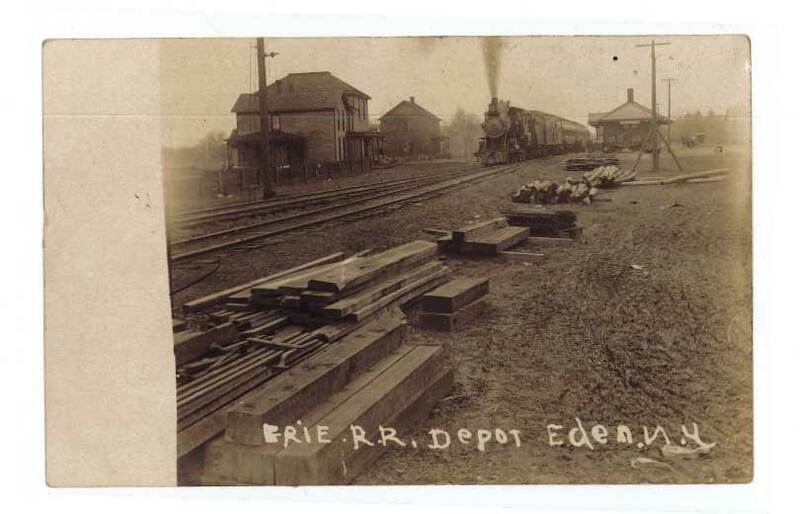 Before the advent of the railroad in Eden, the town like so many others across the country was basically self-sufficient, especially by modem standards. 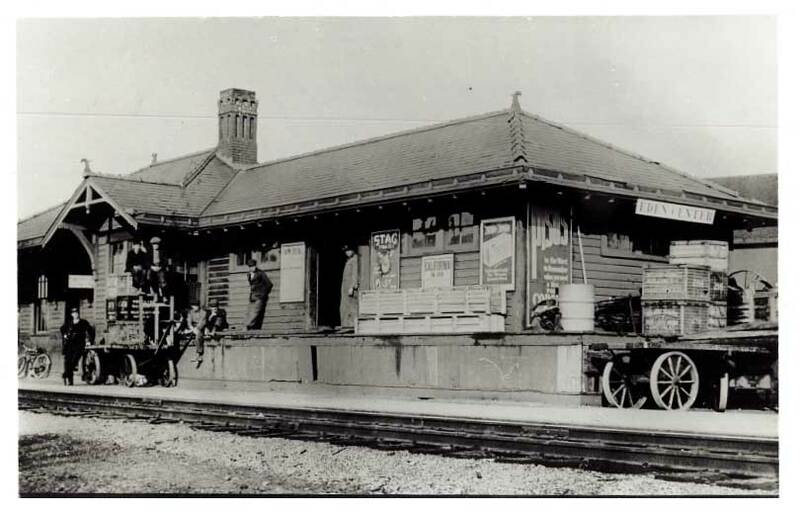 The opportunities fostered by railways enabled the business and industrial community to expand in numerous ways. Travel for the sake of pleasure was something entirely new. The latter part of the nineteenth century saw people on the move and involved in more activities that connected them to the world at large. Civic involvement, fraternal organizations, study groups and travel excursions expanded social and intellectual horizons. As recreational time increased, music, drama, service clubs and churches fed the mind and the spirit. Other factors left indelible changes on the town. The invention of the telephone and the installation of electricity and indoor plumbing brought comfort and convenience to peoples’ lives. The automobile and mechanization of farm equipment significantly changed the way people lived and worked. As the Civil War left its mark, so did World Wars I and II. 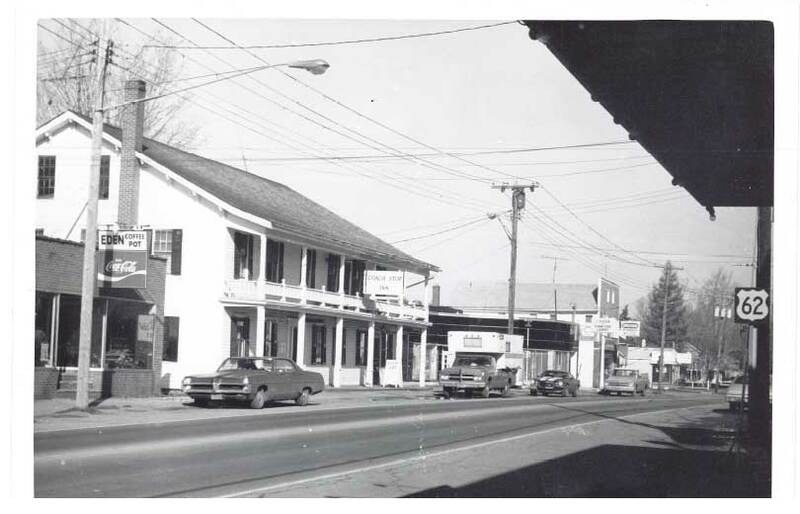 The Roaring Twenties, the Great Depression and the post war boom of the 1950s also created major societal changes that were reflected in the lives of Eden residents. From its inception to the present day, Eden has been a beautiful place to live. 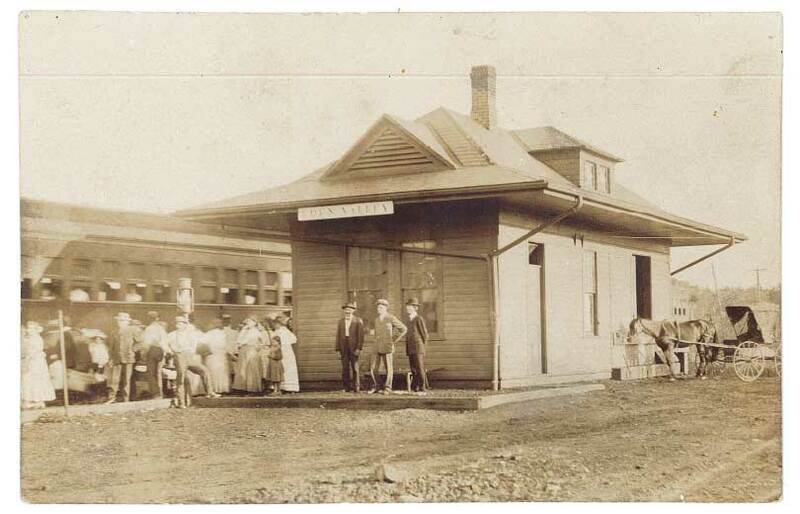 As the town approaches its 200th birthday in 2012, reflecting on its past seems appropriate. Some may look through these pages and feel nostalgia for the old days, when the rhythm of life followed the seasons and life was simpler and more relaxed. Others might find themselves wondering how our forefathers could get by without the modem inventions and conveniences taken for granted in the twenty-first century. Whatever one’s reaction, it is hoped that this work will create awareness and increased appreciation of the heritage of all who have ever called Eden home.